Saab announces a cooperation with Fuji Heavy Industries Ltd. (Fuji) to produce a new performance-oriented all-wheel drive model - the Saab 9-2 - in Spring 2004. 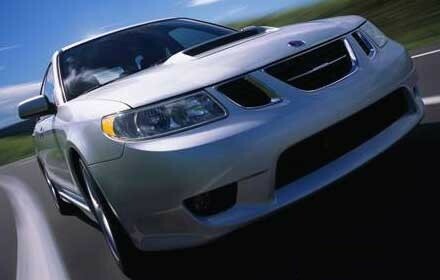 The new vehicle will provide Saab with a capable, dynamic entry below the new 9-3 Sport Sedan. NEW YORK - Continuing with its biggest ever product offensive, Saab Automobile AB expands its product line further with the introduction of the new Saab 9-2. 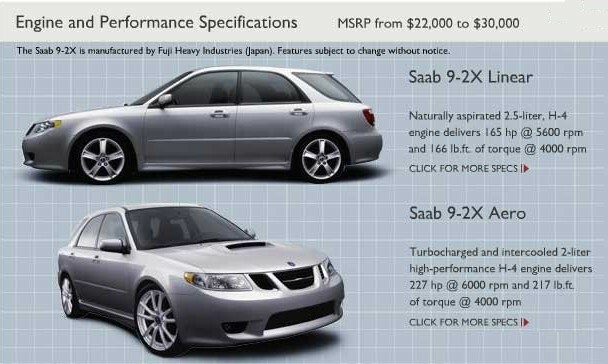 The 9-2 will be Saab's entry offer and will help attract new, younger customers to the brand. It is targeted at customers looking for a distinctive, fun-to-drive car with the versatility to support an active lifestyle. 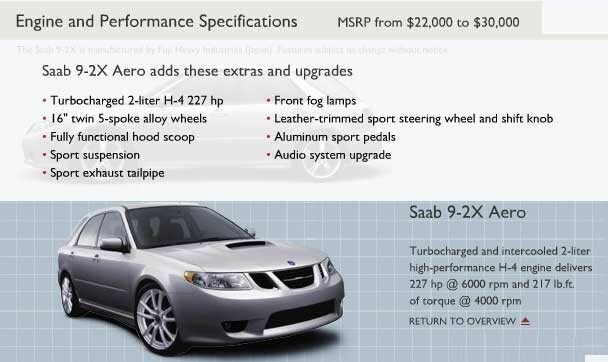 As customers would expect from Saab, the 9-2 will feature excellent driving dynamics with its sophisticated all-wheel drive system and turbo performance as well as great versatility with its hatchback body style. Leveraging the global resources of the GM Group, Saab Automobile AB is collaborating with Fuji of Japan to create the new Saab 9-2 model in cooperation with Subaru, Fuji's automotive division. "We see an emerging segment in the United States for a premium, small car below the Saab 9-3 Sport Sedan," says Peter Augustsson, President and CEO of Saab Automobile AB. "The Saab 9-2 is a result of collaboration between two like-minded brands. We both have a special aircraft heritage and a successful history in rallying, and our cars are known as dynamic, safe and fun-to-drive. It makes a lot of sense for us to combine our strengths in creating the next Saab and bring it to the market quickly," says Augustsson. Saab will offer two versions of the new 9-2, both five-door, all-wheel drive cars. The base Saab 9-2 will be equipped with a 2.5-liter four-cylinder engine, while the Aero version will feature a high performance, 2.0-liter, turbocharged four-cylinder engine. Initially, the vehicle will only be offered in the United States and Canadian markets. "Both brands have this special flair," said Bob Lutz, GM's Vice Chairman for Product Development. "It is such a natural fit for them to combine their talents and expertise to bring the first all-wheel-drive performance car into the Saab family - a car with great dynamic qualities and exhilarating performance." 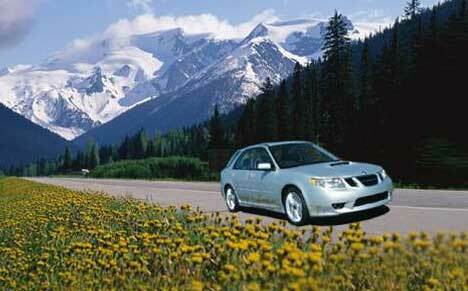 The new Saab 9-2 will be produced in Fuji's facilities in Japan, beginning in the spring of 2004. 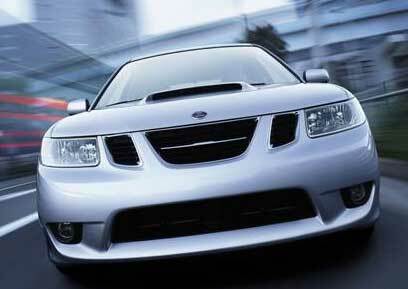 Saab Automobile AB, based in Trollhättan, Sweden, is fully owned by GM, which has a 20 percent stake in Fuji. The Saab 9-2X — a new, all-wheel-drive, five-door model — opens up a new, fast-growing market segment for Saab and will be unveiled at a special event in Los Angeles in mid-December in conjunction with the Los Angeles Auto Show. The new, sporty Saab 9-2X continues Saab's biggest-ever product offensive by taking the Swedish manufacturer into a new market segment with a fresh expression of Saab's traditional reputation for combining fun-to-drive enjoyment and smart versatility. The world debut of the new Saab 9-2X at the Los Angeles Auto Show in the US was confirmed today at the Tokyo Motor Show by Peter Augustsson, President and CEO of Saab Automobile AB. "We see a rapidly emerging segment in the United States for a premium, small car below the Saab 9-3 Sport Sedan and we intend to be among the first in the segment," says Augustsson. "The 9-2X will help introduce Saab to younger customer group." Leveraging the global resources of the GM Group, Saab Automobile AB is collaborating with Fuji Heavy Industries to create the Saab 9-2X model in cooperation with Subaru, Fuji's automotive division. 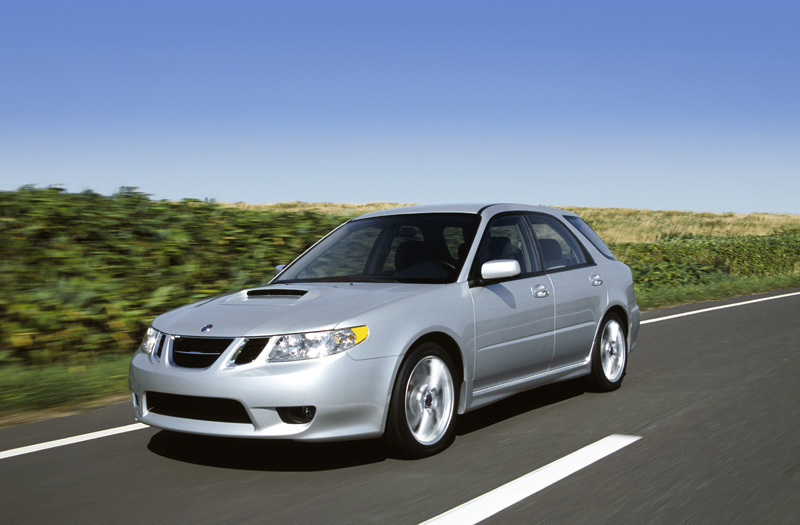 "The Saab 9-2X is the result of a collaboration between two like-minded companies. We both have a special aircraft heritage and a successful history in rallying, and our cars are known for being dynamic, safe and fun-to-drive. It makes a lot of sense to combine our strengths in creating a Saab that can be brought to market quickly." The Saab 9-2X is scheduled to go on sale early next summer in the USA and Canada, with other markets still under consideration. It is the latest step in the most aggressive new product and concept development program in Saab’s history. Within the last two years Saab has launched the all-new Saab 9-3 Sport Sedan and 9-3 Convertible models, as well as three concept cars: the 'four-dimensional' 9-X, the 9-3X 'Cross-over' Coupe and the 9-3 Sport-Hatch Concept, for which a production version is scheduled. General Motors owns Saab Automobile AB and holds a 20 percent stake in Fuji Heavy Industries and the Saab 9-2X program allows both companies to reach their goals by jointly leveraging the global resources of the GM Group. 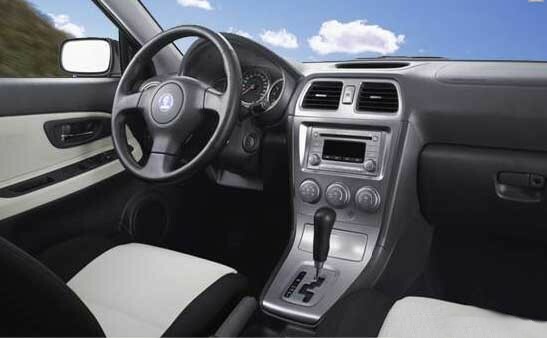 Bob Lutz, GM's Vice Chairman for Product Development said: "The Saab and Subaru brands have a special flair. It is a natural fit for them to combine their talents and expertise in bringing the first all-wheel-drive performance car into the Saab family — a car with great dynamic qualities and exhilarating performance." 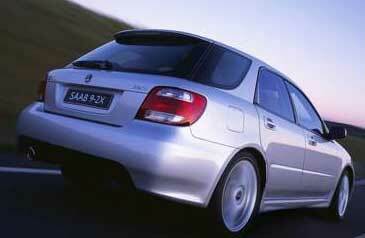 The new Saab 9-2X will be produced in Fuji Heavy Industries' facilities in Japan, beginning in the spring of 2004.